We have already seen the Great Scar Limestone was laid down in a series of beds, separated by very thin bands of shale. The shale has usually been worn away to leave a distinctive horizontal bedding plane. These bedding planes play an important part in cave formation, and vary in density according to the type of limestone and the conditions in which it was formed; the Cove limestone especially being noted for the sparsity of its bedding planes. Joints are natural fractures in the rock, caused either by tension from earth movements when the rock was forming, or by faulting. Generally, they run at right angles to the bedding planes, and have greater densities, as would be expected, near to the boundaries of the Craven Faults. 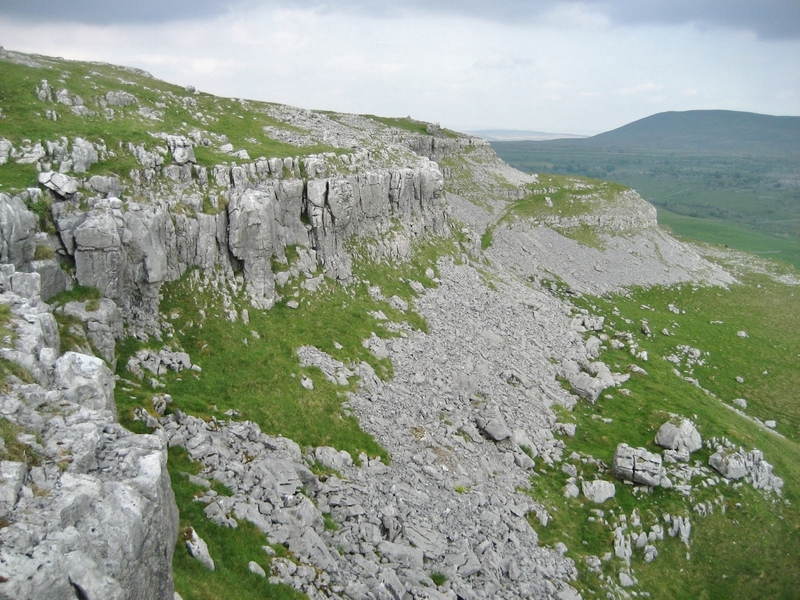 Along the South Craven Fault, on Giggleswick Scar, they either run parallel to the fault, or perpendicular to it. 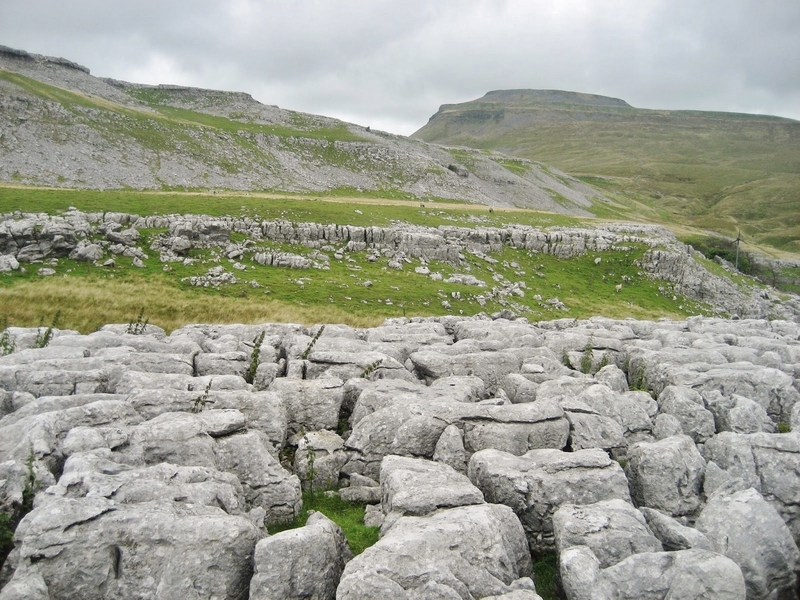 The classic school textbook would link joints to the formation of limestone pavement, with the enlarged joints or ‘grykes’ dividing a series of blocks or ‘clints’ within a bed of limestone. It is however, important to remember that the actual make-up of the limestone, as well as its location, is a key factor in joint formation, erosion, and the resulting features of the landscape. The main mineral constituent of Great Scar Limestone is calcite, and this tends to occur in two distinct forms within the rock. The coarse grained ‘sparite’ limestone is naturally stronger, massive in structure and contains relatively few joints. It is therefore more resistant to weathering and forms the prominent buttresses of the Twisleton and Raven Scars along Chapel-le-Dale. The fine grained ‘micrite’ limestone, by contrast, is usually riddled with joints, owing to its less massive structure, and it weathers easily. 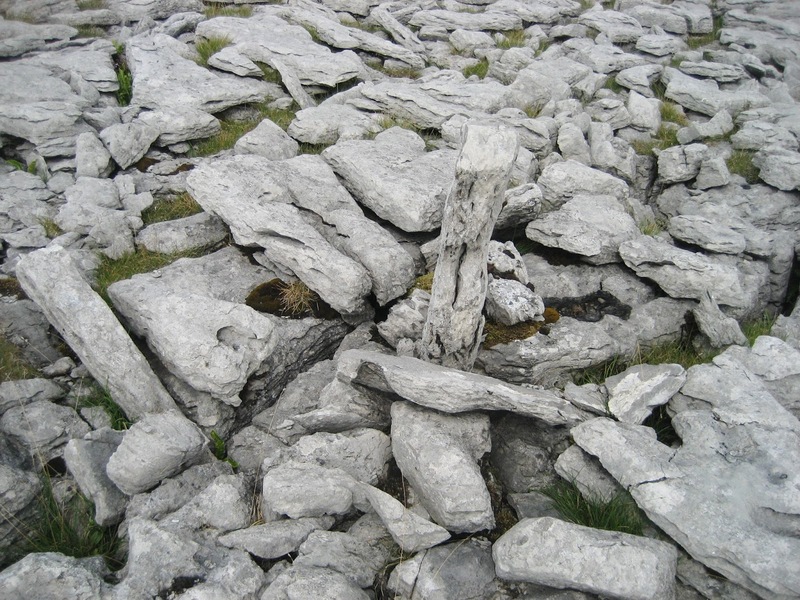 There are many examples of shattered, virtually unrecognisable limestone pavements along the Craven Fault boundaries – all formed in the micritic limestone. 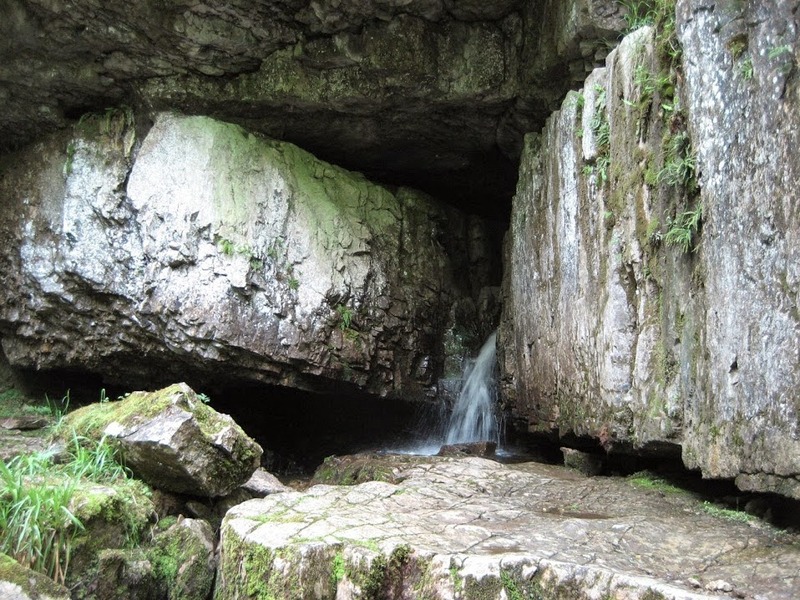 The joints and bedding planes allow water to enter and play havoc with the strong, soluble limestone – so therefore are a key component in the fascinating karst landscape that is Ingleborough.